After years of looking at boats on line, it was finally time to get serious and find a boat. As with most things in life, when you are ready, the right person just seems to show up out of no where. So it was with Curtis Stokes. But I am getting ahead of the story, so let me back up a little bit. Our wannabe boaters decided to go to an AGLCA one day seminar in Charlotte, North Carolina to learn more about looping. The seminar was in November 2014, and well worth the time, if for nothing else, for meeting Curtis Stokes. Our couple narrowed their list down to about ten boats and were ready to go shopping. February was selected to be the time to go look, and a road trip was planned to go see boats in Mobile, Destin, Jacksonville, and Ft Myers. By the time the boat buying couple got to Ft Myers, they had seen several nice boats, but none that shouted out, buy me, I am the one. However, both boats that were viewed in Ft Myers quickly rose to the top of the list. In fact, they cast off the last two boats to look at because they knew it was one of these two. 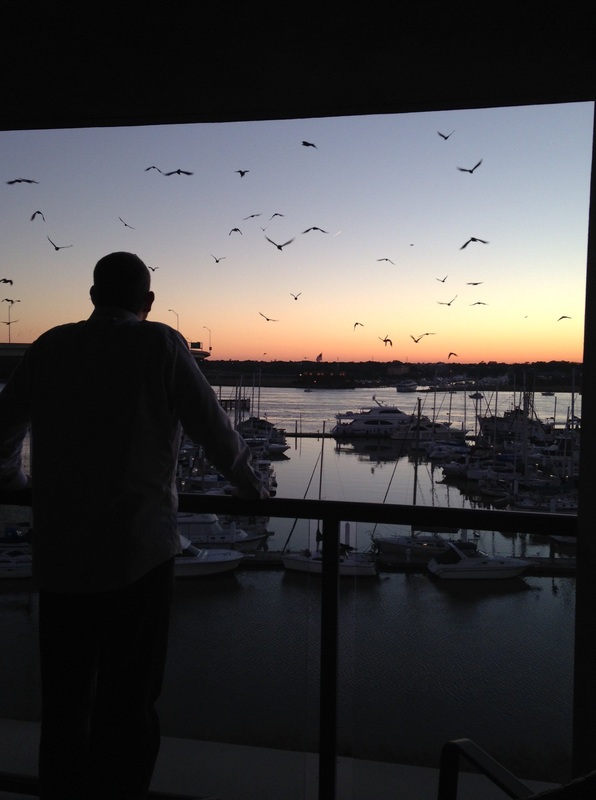 The boat of choice was one of the two boats in Ft Myers, but which one,………..decisions, decisions, decisions. Both boats had positives and negatives, but no matter how you sliced it, they just kept coming out equal. It was almost down to a flip of a coin. However, while driving home and still trying to decide, our couple was listening to a sermon message they had missed since they were on the road. During the message, PK (Pastor Kevin from 12 Stone Church) was talking about being still and listening for God’s direction. At that time the ‘would be skipper’ recalled a sign that our couple had in their kitchen that says …….Be still and know that I am God. The ‘would be skipper’ announced that they would be buying the boat named Still Waters II. He explained why to his bride, she was in agreement, and the call was made to Curtis to make the offer. Offer accepted! That was easy! 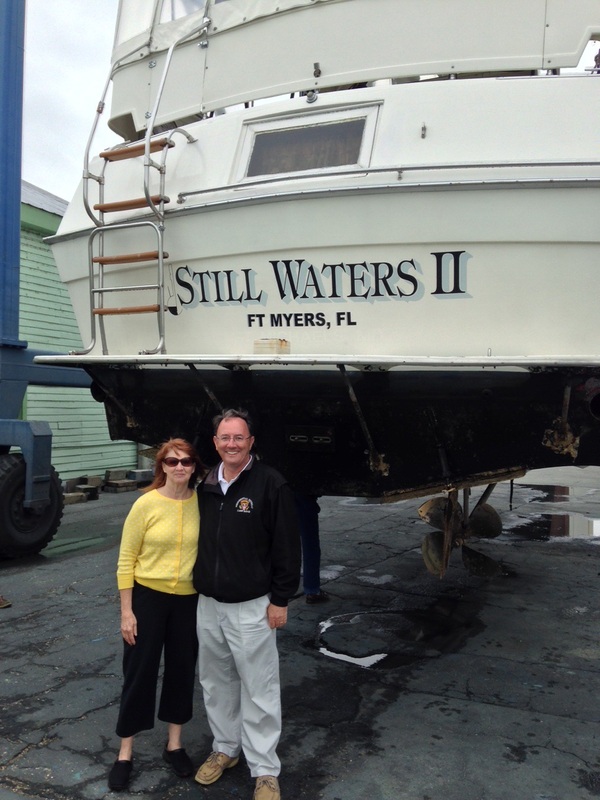 Another trip to Ft Myers for the survey and sea trials…………..And on March 30th our happy couple became the third owners of Still Waters II. No wonder y’all are keeping the name. My second thought was Still Waters run deep so I figured it was a great boat for sailing.